ompatible with and Identify: Li-ion: 26650, 18650, 18500, 18350, 17670, 17500, 16340, 14500, 10440 3.7V lithium battery and so on. Ni-MH / Ni-CD: AA, AAA, AAAA, C battery. With VA LCD screen and real-time display - It can be automatically synchronized to view the charging time of the battery and to simulate the power, the exact amount of power, battery voltage, and anytime you can toggle to 0.5A, 1A or 2A charging current. Power Bank External Batteries Function - After fully charging the battery, you can use 1 battery to free up electricity 5V to charge a cell phone and other devices (use it as a Power Bank External Battery). Uses Micro USB 5V Power Outlet Input - With battery reverse connection protection, short circuit protection and the input voltage over voltage protection alarm function. VA type black and blue high-resolution wide-angle LCD screen, with microcomputer control technology, each channel is independent control. Wow that's a great price.Thanks for that one. - compatible with almost every single battery that You have in your household: 18650 for vape and bike lights, AA and AAA for remotes, torchlight, toys etc. 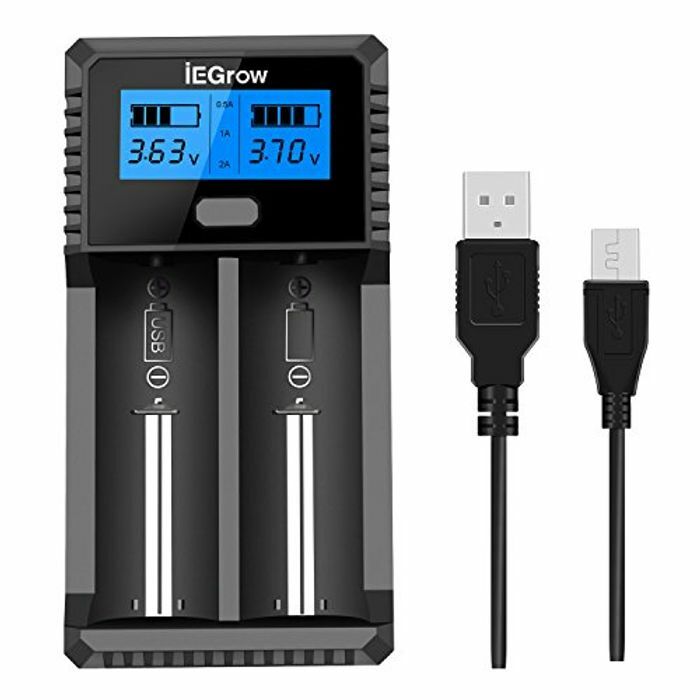 Fab price and ideal for vapers to make sure their batteries get an even charge outside of their device.